Steve Duffield is a founding Director of Guardian Geomatics Pty Ltd. Prior to that he was employed by Decca, Racal, Thales and Fugro. In those roles he worked both in Australia and internationally. He was involved in a variety of offshore project types and locations. In his last role at Fugro, he was Country Manager for Australia. 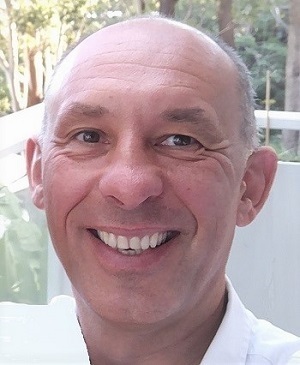 Steve is currently the President of the Australasian Hydrographic Society and a Director of the International Federation of Hydrographic Societies. Steve has an MBA and is a FCPA, FAIM and GAICD. Our sister company Guardian Offshore who provide core assets and services to Guardian Geomatics is led by Executive Director Grant Farris. 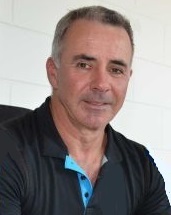 Grant is the former founder and Managing Director of Broadsword Marine Contractors, which at the time was the largest Marine Business in the Northern Territory. Guardian has pulled together marine assets and industry expertise from across Australia to form a strong foundation from which to launch our collective capability. Part of the Guardian Geomatics foundation team, Paul brings his strong technical and operational experience in industrial and Hydrographic surveying to establish high standards, rigorous procedures, confidence and capability that Guardian Geomatics can deliver offshore projects. As Operations Manager and Director of Marine Site Characterisation at Fugro in Australia, Paul's role was to oversee the safe and efficient operation of survey projects undertaken in Australia, New Zealand and Papua New Guinea. A key focus of the role was to drive high quality projects to be delivered on time and on budget. This was achieved from the development of a robust business management system which was very process driven with procedures and work instructions. From 2014 to 2017, Paul was the project director for the search for MH370. His role was to design the search systems, plan the execution of the search and to oversee the excellent team Fugro assembled. The project team consisted of more than 300 individual team members, and is regarded as the single largest offshore survey ever undertaken. Paul is a graduate in Oceanography, and post-graduate in Hydrographic surveying. He has worked in industry throughout his career, in Aberdeen, SE Asia and Australia as a data processor, Surveyor, Party Chief, Project Manager and Data Center Manager. Paul is a AHSCP Certified Level 1 Hydrographic Surveyor, and the SSSI Commissioner for Hydrography in Western Australia. Darren is a highly experienced Chief Operating Officer/Operations Manager, who is a founding Director of Guardian Geomatics Pty Ltd. Darren is using his longstanding experience with the operations and management of survey vessels and personnel to build and grow our new company with hydrographic operations in the region. David has considerable experience in HSEQ and security management in both the Military sector and resource industry. 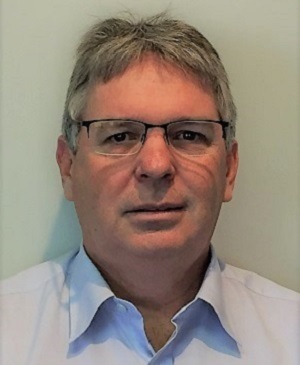 David’s HSEQ experience has included several years in Expat and Australian Management positions with McDermott International, both onshore construction and offshore installation project for several global producers, prior to relocating to Perth and moving into the Vessel provider sector. Prior to joining Guardian Offshore, David was the HSEQ Manager for Specialised Vessels Unit, Miclyn Express Offshore – Singapore, providing HSEQ management and Designated Person Ashore /Company Security Officer function within the Specialised Vessels Services Business Unit. This BU provided O&G producers and Contractors with Saturation Dive Support Vessels, ROV support vessels for subsea installation, IMR, and Seismic Support vessels. Mark has 12 years’ experience in the Oil and Gas/ Resources industry with experience managing, planning and implementing marine surveys. He has delivered contracts with revenue between $50,000 and $150 million. His background is in Geoscience, with strong Project Management skills and extensive worldwide experience, having worked in the UK, East/ West Africa, the Middle East, South-East Asia and Australia. Quality, Health, Safety and Environment (QHSE) responsibility for projects under his management. Management of a team of 70 personnel from a diverse range of nationalities and cultures. Communication/ interpersonal skills from the coalface to General Manager/ Regional Director level. Report writing skills – monthly/ quarterly operational reports, financial reports and QHSE reports. Management of subcontractors and service providers. Responsible for review, negotiation and application of contractual terms and conditions. Tender preparation and business development experience. Marks clients included Australia Transport, Safety Bureau, Bechte, BP, Centrica, Chevron, Eni, Exxonmobil, Huawei, Quadrant (Apache), Shell, Telstra and Woodside.